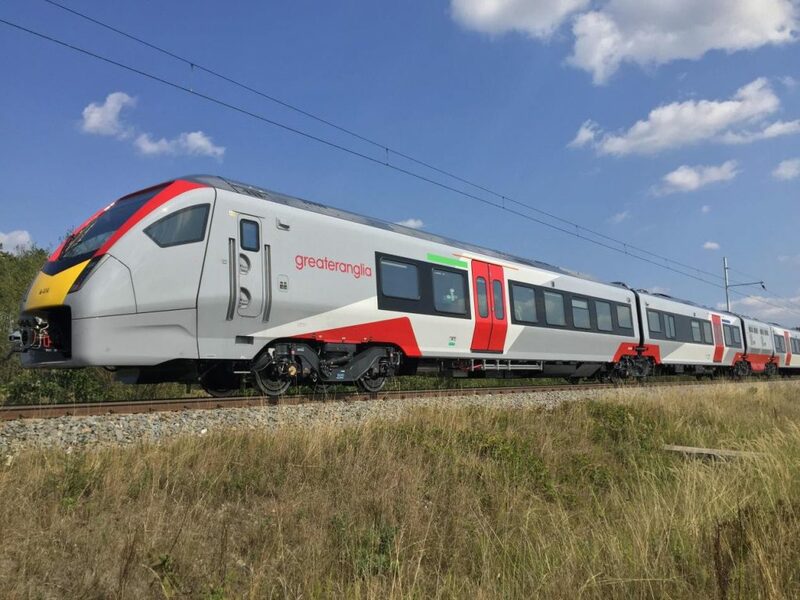 UK operator Greater Anglia has released images of one of its new FLIRT trains being put through its paces at the Velim railway test circuit in the Czech Republic. Stadler is building 58 new trains for the train company, 38 bi-mode and 20 electric trains, and all are being tested at Velim. At the centre, technicians are checking the performance and operation of the train’s voltage levels, brakes, traction system and pantographs. They are also measuring noise levels and electro-magnetic emissions. Testing started in May in Erlen, Switzerland, and is currently being conducted at various specialist sites in Europe, including Faurei, Romania, and Halle, Germany. 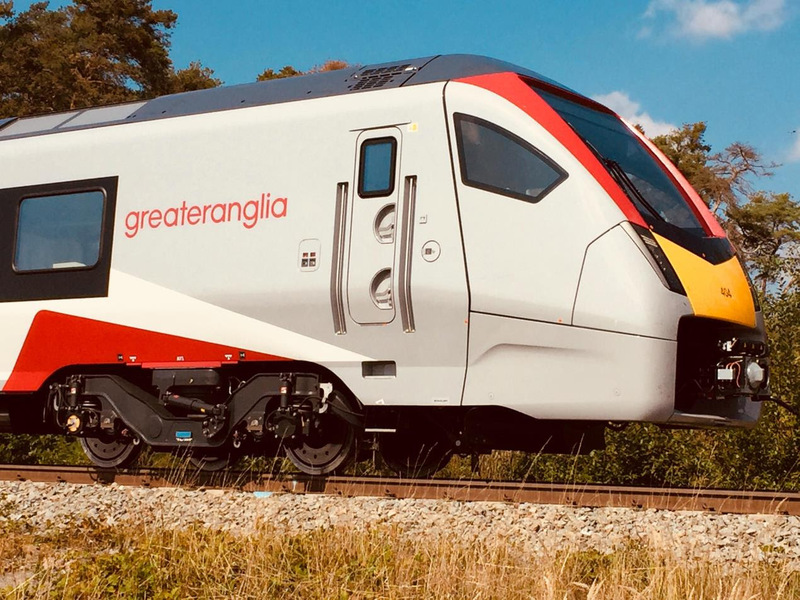 The bi-mode trains will run on regional routes in Norfolk, Suffolk, Cambridgeshire and Essex, while the electric trains will replace the current Intercity and Stansted Express trains. 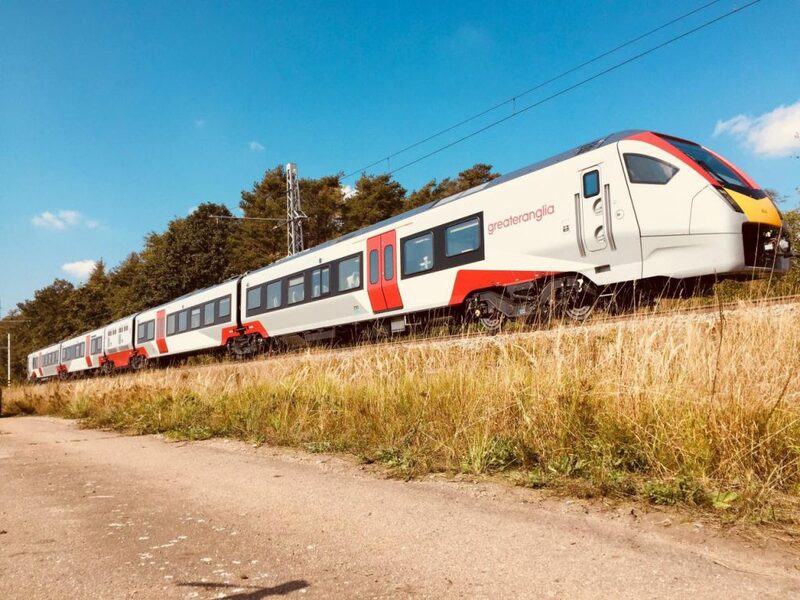 The first train is expected to enter passenger service in the middle of 2019. The diesel (bi-mode) engines on the Class 755 does sound like a jet engine from a plane. But at least these will replace the ageing DMU units and to cascade them elsewhere. Including the Class 153 to Northern and Class 170 and Class 156 to KeliosAmey Wales. Whilst the other EMU units Class 745 and Class 720 will replace the Class 317, Class 321, Class 90 Mk3, Class 360 Desiro and Class 379 Electrostar. Clacton-on-Sea and Southend Victoria, Wickford-Southminster, Colchester-Walton-on-the-Naze, Colchester-Colchester Town and Manningtree-Harwich Town and Stratford-Hertford East/Harlow Town).